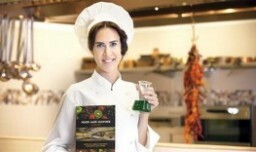 Yeditepe University´s department of gastronomy and culinary arts has become an official partner of the UNITWIN/ UNESCO Chairs “Food Culture and Development Program”. One of the represents of this program is The Universitat Oberta de Catalunya (UOC). In 2015, Yeditepe University´s culinary department signed the first partnership agreement with UNESCO chair “Safeguarding and Promotion of Cultural Food Heritage” program hosted by the Université François-Rabelais in Tours. The department will take part in and be able to propose projects, which aim to safeguard and promote Turkey´s food culture. They will also be able to preserve it for future generations. That´s how, the university´s department will be able to make an important contribution to the protection and promotion of the culture of Turkish cuisine on a national and international level.